When remodeling your kitchen or bathroom, one of the most visible changes you can make is to upgrade your cabinets. However, choosing cabinets is a project that demands thoughtful consideration. 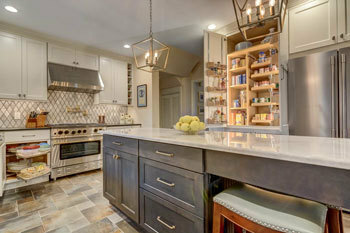 If done right, cabinetry can add to the overall value of your home. That’s why zeroing in on a style that you’ll love for years to come is always preferable over a fad or quick trend that will be in constant need of upgrades. Investing in durable, high quality cabinetry that reflects your home’s individual aesthetic is the smart way to go. You’ll also want to consider function and cost. There is an endless combination of sizes and styles, woods and finishes, so how do you choose? Quality is not trendy; while showmanship can be. Set the tone: Do you want stately, ornate, luxurious or crisp? Use words that illustrate the feeling you want. Rugged, Barnwood or Elevated Farm-style come from one family of design, but each is a particular FEEL. A wood that is tough, yet polished, is superior. If considering Oak, Maple, or Hickory, you might choose a subtle finish, allowing the natural grain to be revealed. Painted woods, particularly whites and grays, can be sleek, refreshing, modern or traditional. Don’t be afraid to combine tones to create your personalized style! Attention to storage and ease-of-access will determine everything in your design. Types of shelves – open, vented or secure; cabinet fronts, and hardware should all be considered based upon current use. 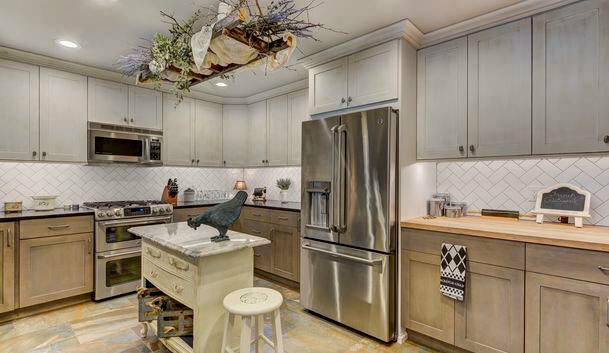 Refrigerator-depth kitchen cabinets create a built in look while providing additional storage; a deluxe pantry can give cooks incredible organization options. This polished and poised kitchen design features painted cream cabinets that complement the charm and character of this older home. But behind the beautiful cabinet doors boasts an array of hidden storage features! There are a lot of unique features available when it comes to enhancing storage space without compromising aesthetics. 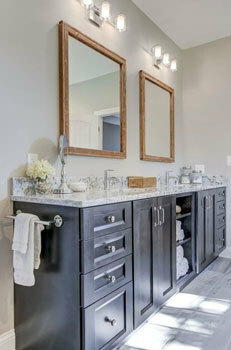 For bathrooms, consider cabinetry designed for optimum storage within the limits of space. Alternating open shelving with traditional cabinets is a great way to maintain storage space needed, but at the same time offering a design flare. 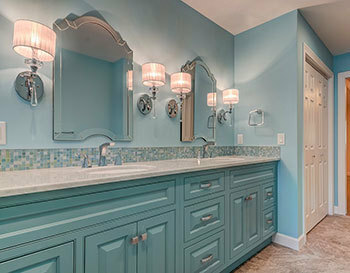 Cabinets are one of the most visible changes you can make in a kitchen or bathroom, so you should first decide on the look you’re going for, then find cabinets within that style that fit your budget. The best way to do it? 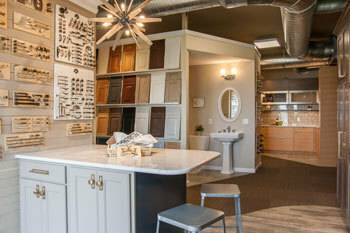 Visiting a showroom can help you get a feel – literally – for the materials and styles available. And talking with an experienced designer can help you get a handle (no pun intended!) on which cabinet choices best suit your style and budget. 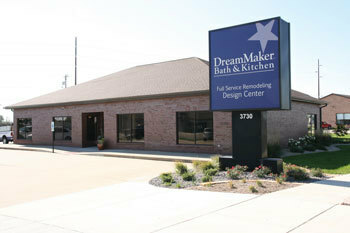 If you’re looking to remodel your kitchen or bathroom, be sure to visit DreamMaker Bath & Kitchen, where we make the remodeling process fun and easy!